1. TMP Refining offers customer engineered new and replacement oxidation catalyst. TMP Refining understands that the operating conditions of each gas turbine are unique and require specifically customized catalyst solutions. 2. Oxidation Catalyst Assessment - TMP Refining provides catalyst activity testing, catalyst activity life-cycle modeling and other services to determine the overall health of the catalyst throughout its active life. Oxidation Catalyst activity life-cycle modeling provides our customers with data showing where the catalyst is in its life-cycle so our customers are informed and can plan maintenace accordingly. 3. Oxidation Catalyst Washing - TMP Refining has a unique catalyst washing/rejuvenation process that doubles the expected life of oxidation catalyst with almost no down time. 4. Oxidation Catalyst Refining - TMP Refining will purchase any manufacturer's old oxidation catalyst that is no longer reactive enough to operate. TMP Refining will offer a price based on the precious metal loadings on the catalyst. TMP Refining also offers this value as a credit towards a new catalyst purchase if the customer chooses. 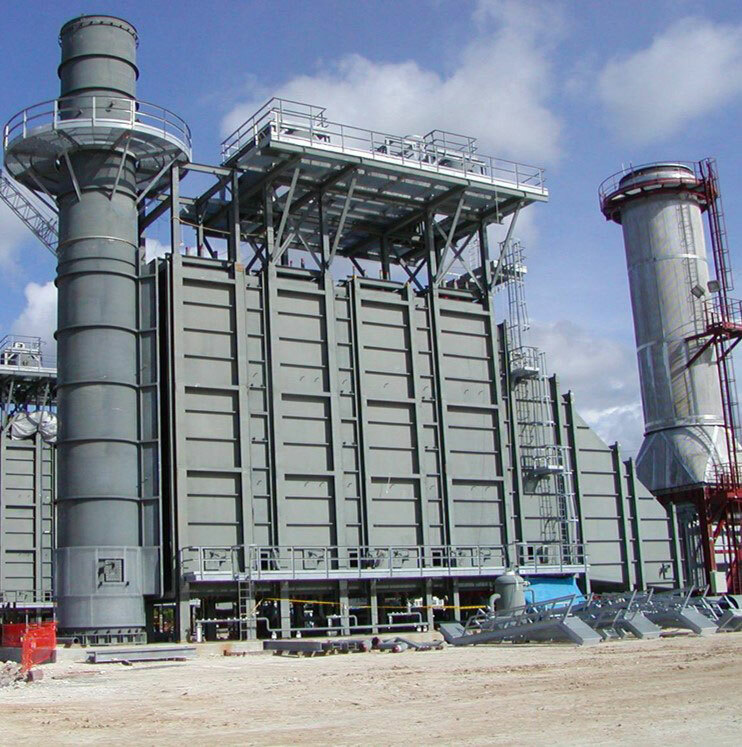 TMP Refining offers HRSG Decomissioning Services to customers who are either upgrading gas turbines with more efficient systems or are shuttering inefficient power plants. This service includes the removal and refining of the oxidation catalyst bed along with the removal and disposal of the SCR catalyst modules. For more information please review the case study below. Oxidation Catalyst systems provided by TMP Refining use a precious metal coated catalyst to convert CO to CO2. TMP Refining's oxidation catalyst can achieve 2-5 ppmvd@15%O2, based on 95% reduction. CO Oxidation Catalyst tolerates temperatures from 425°F to 1150°F. TMP Refining Oxidation catalyst will also remove hazardous air pollutants(HAPs), VOC, and CH20(formaldehyde) along with carbon monoxide.